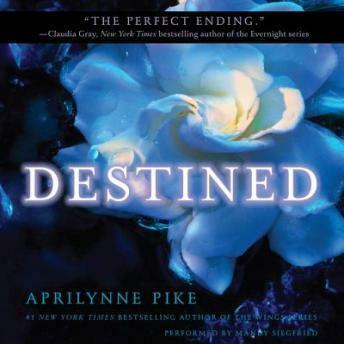 Destined delivers all the romance and action that fans expect as it brings Aprilynne Pike’s Wings series to a deeply satisfying conclusion. Laurel used to think she was an ordinary girl from Crescent City, California. She never would have believed she was truly a faerie from a realm called Avalon. Now Laurel must risk her life to save Avalon from destruction by Yuki—a rare and powerful Winter faerie—and troll-hunter Klea. But Laurel won’t have to fight alone; David and Tamani, two boys she loves in different ways, will be by her side, along with her best friend, Chelsea. Readers of the Need and Graceling series will want to follow Laurel’s story from its beginning in Wings to its heart-stopping end in Destined.